Kalamsat is an experimental satellite aimed at studying the communication systems of Nano satellites. Incidentally, it is regarded as the first Nano satellite to utilize PS4 as a platform to orbit around the Earth. The Indian Space Research Organization has reportedly successfully launched the military imaging satellite Microsat-R, which is onboarding its Polar rocket PSLV-C44, along with Kalamsat. As per trusted sources, the satellites were launched as part of the organization’s first mission in the year 2019. Reportedly, Microsat-R was launched from the Sriharikota spaceport on Thursday. The Polar Satellite Launch Vehicle (PSLV) blasted off from the first launchpad of the spaceport in Andhra Pradesh’s Sriharikota at the end of a 28-hour countdown. 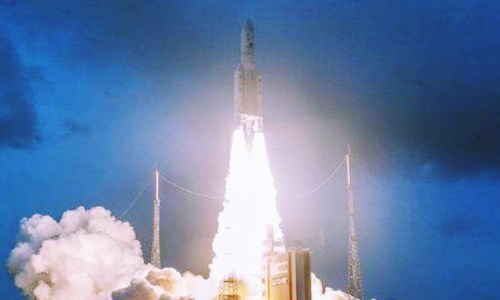 The four-stage, 44-metre tall PSLC-C44 injected the 740-kg Microsat-R into orbit exactly 13 minutes and 30 seconds after it soared into the clear and starry night sky, cite trusted sources. Sources familiar with the matter claim that it would take around 90 minutes for the fourth stage to reach its desired orbit. Apart from Microsat-R, the PSLV also carried the students-built nanosatellite Kalamsat. The fourth stage of the rocket would now be transferred to a higher circular orbit, approximately 450 kilometers away from the Earth’s surface, so as to establish an orbital platform to carry out experiments. According to a report published by The Financial Express, the most prominent feature of this space mission is the utilization of a new variant of PSLV, which has the ability to switch on and off a couple of times with the fourth stage engine. Chief Executive Officer of Space Kidz, Srimathy Kesan was reportedly quoted saying that the organization had been working on the project for more than six years and the students who developed the satellite are from different educational backgrounds. 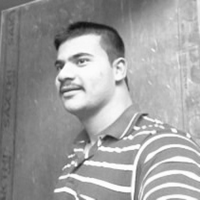 Kesan further added that Kalamsat was the lightest-ever satellite which was launched by India. Created at a total expenditure of about INR 12 lakh, the Kalamsat is an experimental satellite aimed at studying the communication systems of Nano satellites. Developed by the members of a Chennai-based organization – Space Kidz India – and a few college students, Kalamsat is regarded as the first Nano satellite to utilize PS4 as a platform to orbit around the Earth.